Move over Melbourne and Sydney, Adelaide is the next culinary hot spot in Australia. From rustic Italian fare to the best of Japanese fine dining, we have your foodie needs covered. Here’s my guide to the top 10 must eat restaurants around town. This New York brasserie-inspired restaurant, located in the historic Adelaide Casino, offers a premium dining experience in sleek, sophisticated surrounds. The menu is inspired by classic New York dishes with a modern Australian twist, and, with over 40 items, has something literally for everyone. A must order for meat lovers is the melt in your mouth style 1.2kg lamb shoulder ($70), generously coated in a decadent liquorice gravy which cuts through the fat effortlessly and gives the lamb a hint of sweetness The dish is best paired with a side of crispy duck fat potatoes ($10) or a naughty serve of mac and cheese ($10). With a paddock to plate philosophy in mind, Press* Food and Wine sources the bulk of its food from local producers and famers. 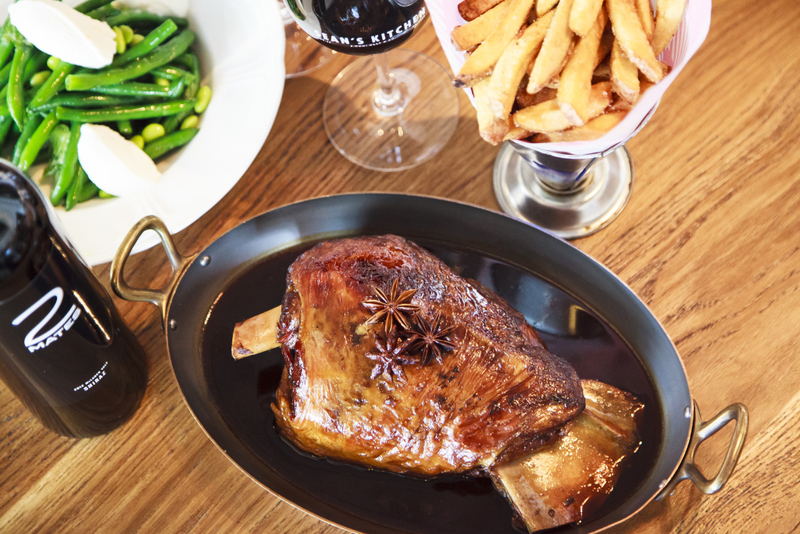 The seasonal inspired menu boasts a wonderful array of small and large plates (designed for sharing) and a whole section devoted to offal and the woodfire grill. The raw section has some real hits, the winner being the silky yellowfin tuna ($22), which is sliced into wafer thin pieces and dressed with spicy wasabi and a creamy avocado puree. To fully immerse yourself in the experience, the tasting menu for $68 per person is recommended, It’s no wonder why Press has become one of the hottest spots in the CBD. Chianti is one of Adelaide’s most successful restaurants for good reason – their food, wine and service are superb. The atmospheric Italian family trattoria has been serving its specialty dishes since 1985. The menu showcases the best of seasonal and local produce, and of course good old-fashioned Italian cooking! 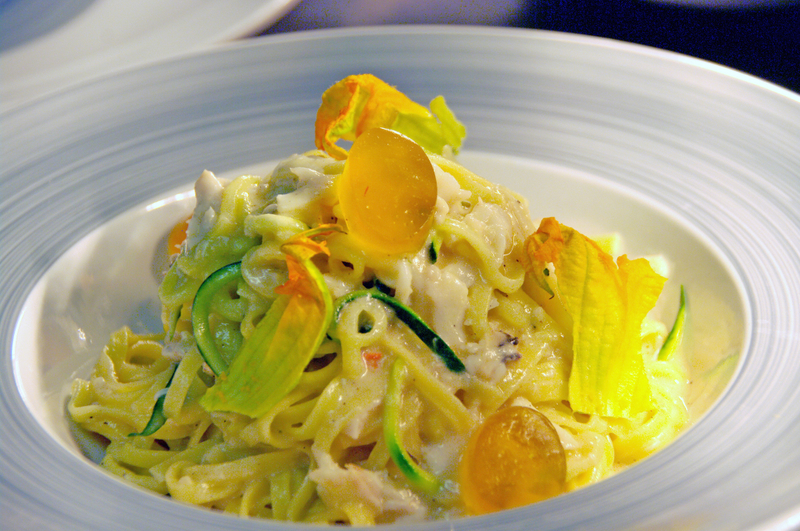 South Australia’s famous Blue Swimmer crab takes centre stage in the tagliolini ($34.90), Chianti’s best selling pasta. The consommé is a masterpiece of intense sweet crab flavour, further complemented by sweet butter softened shallots and a splash of cream from the Barossa Valley Jersey Dairy. For an authentic slice of Afghanistan in Adelaide, make a short detour from the CBD to this hidden gem in Torrensville. Parwana’s menu is cooked with love and generosity, using a unique blend of spices and flavours to create mouth wateringly good dishes. Their signature dish is the banjaan borani ($14), which cleverly combines succulent slices of eggplant in a simmering broth of tomato sauce topped with garlic yoghurt and fresh mint. Another winner is the Mantu ($20) – steamed dumplings served with a hearty mince sauce and dressed with garlic yoghurt, paprika and mint. 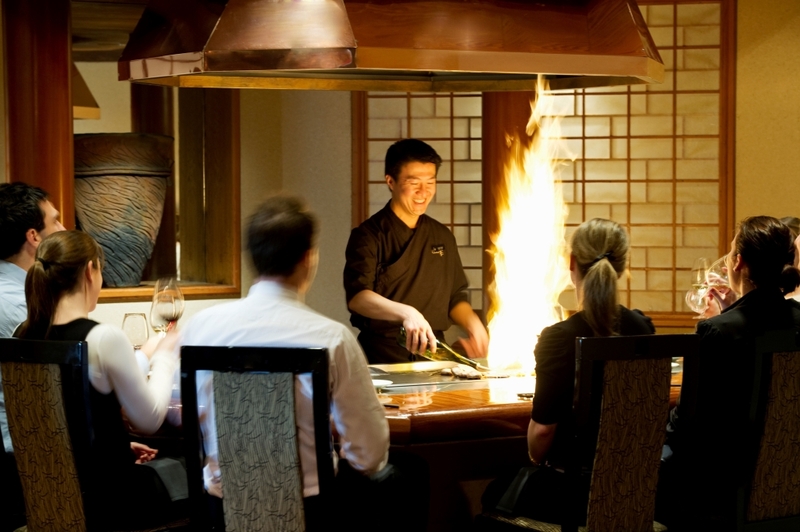 For the highest quality Japanese cuisine in the heart of Adelaide, think no further than Shiki. Here you can expect succulent dishes of a world-class standard, created through the culinary mastery of Kenny Trinh. The tempura prawns ($24) are the ultimate crowd pleaser, made with the highest quality Spencer Gulf Prawns. The succulent prawns are battered with tempura flour until golden and crispy and dressed with a palate popping mix of soy, mirin and hon-dashi powder. If that’s not enough to get your taste buds started, I’m not sure what is. Nestled in the east end of Adelaide, Andre’s Cucina and Polenta Bar prides itself on the true flavours of regional Italian cuisine. Here it’s all about fresh, simple cooking without the culinary pretension. The specials board is ever changing with fish, meat and pasta dishes designed for sharing. 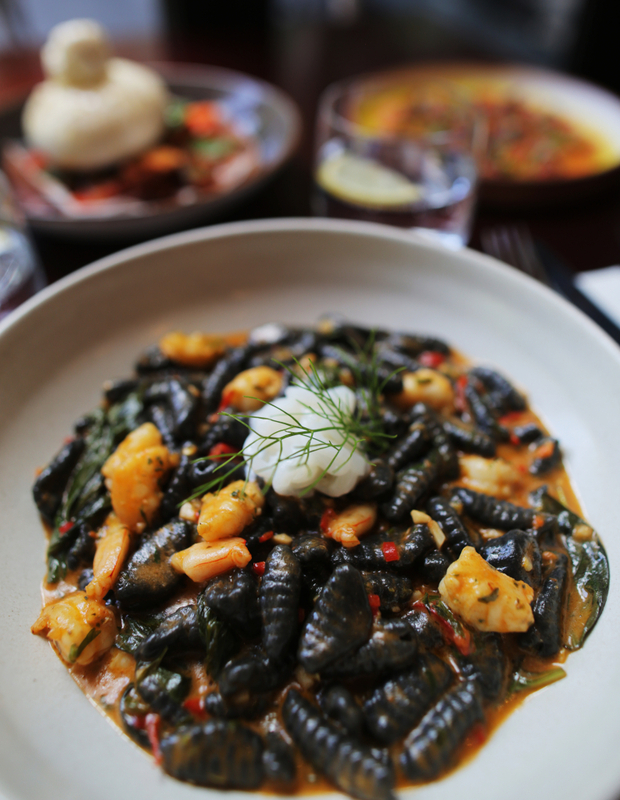 The squid ink cavatelli ($32) is one of the restaurant’s signature dishes, served with fresh South Australian king prawns and cuttlefish crudo. Or let Andre and the team feed you with an Italian family style feast for just $59 per person. 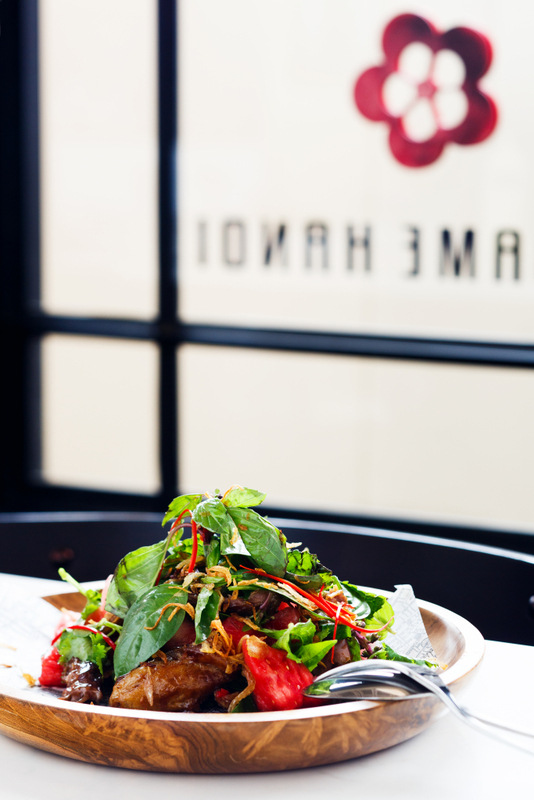 One of the new kids on the block, Madame Hanoi is quickly developing a cult following in Adelaide. What’s on offer? A unique unity of Vietnamese and French cooking styles, ingredients and traditions. Don’t come here without ordering the Goi Vit ($24.60), a prime example of the Restaurant’s marriage of flavours and cooking techniques. Crispy confit duck is paired with a zesty watermelon salad, infused with Vietnamese mint and hoisin which cuts through the rich duck beautifully. Twelve craft and draught beers are also on offer, and an impressive list of local wines. Is it a bar, restaurant or art space? We certainly don’t care when the food is this good. Cliché Exhibition is the latest restaurant opening in foodie district North Adelaide. It may not offer French fine dining, but the bistro makes up for it in fun and personality. 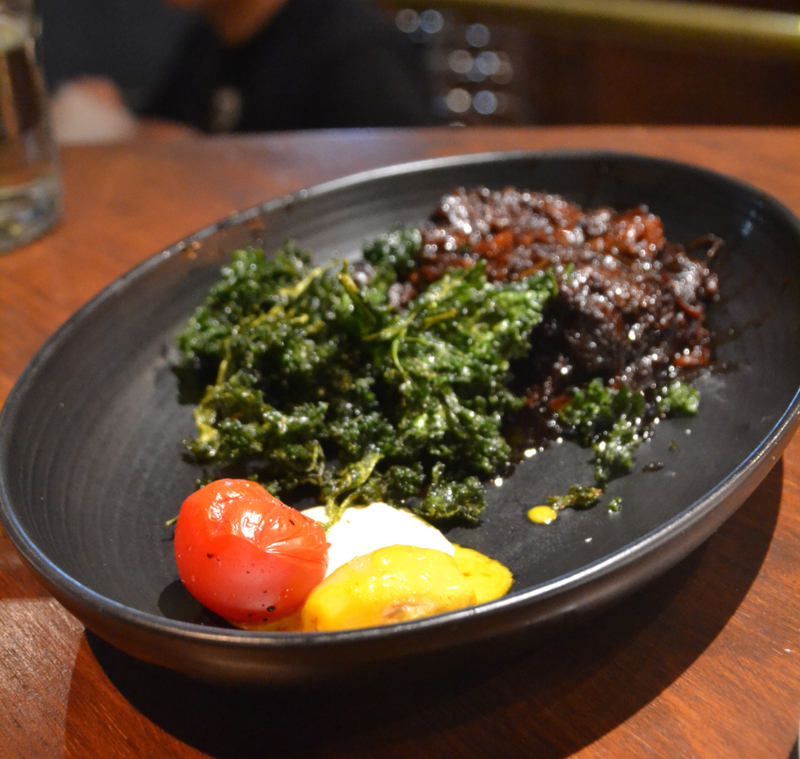 The cheeky beef ($25) is an absolute must-order, comprised of slow braised beef cheek, which falls apart on the slightest fork nudge. The dish is paired with burnt onion aioli, saffron echalot and crispy kale. Finish it off with their lemon curd soufflé ($14) or vanilla brulee ($12). 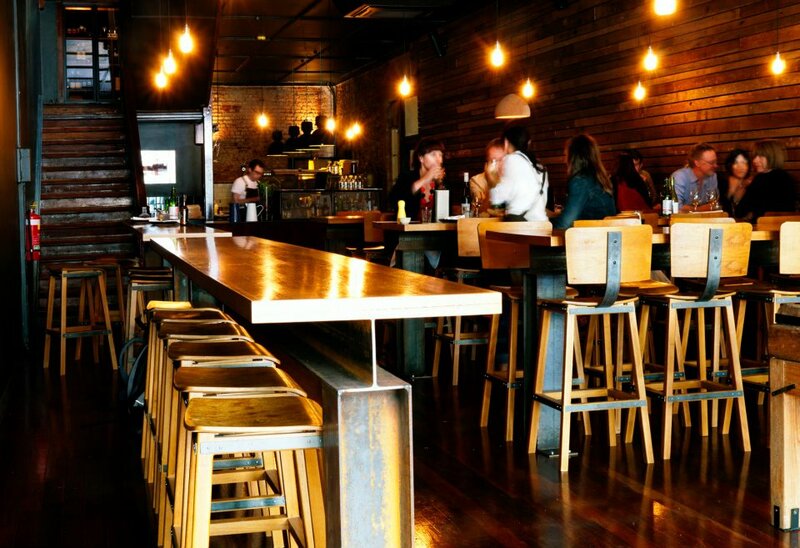 Pizza lovers will be well looked after at EST, a boutique pizzeria in the heart of Adelaide. The gourmet pizzas are made fresh to order from their wood-fired oven. The casalinga pizza ($19.90) is a crowd favourite, topped with olives, casalinga, roasted bell peppers and basil. Gluten free pizzas are also available for an additional $5. The cool and casual atmosphere is a perfect spot for a romantic date or a catch up with friends. 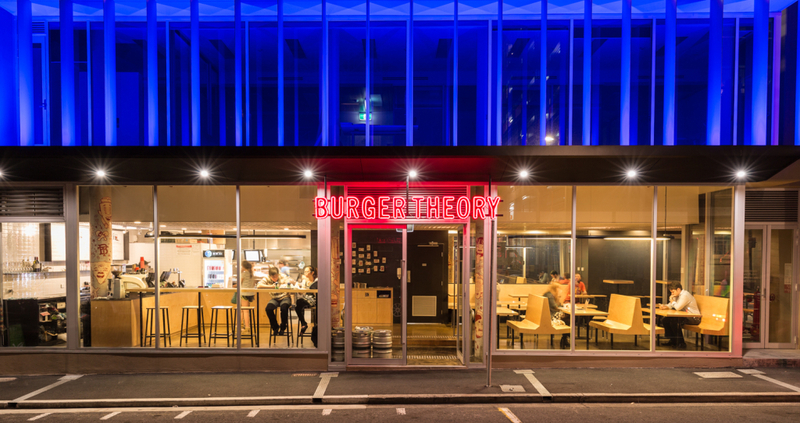 Starting as a funky van roaming the streets of Adelaide, this takeaway burger bar come restaurant certainly packs a punch in the burger stakes. The beef burger ($11) is made of 100% Coorong Angus beef, cooked medium and served in a fluffy Breadtop bun. With fillings like crispy pancetta, onion confit and blue cheese sauce, Burger Theory will satisfy even the fussiest of burger snobs.